An assessment of selected biology aspects of the two Yellowfish species Labeobarbus kimberleyensis and L. aeneus from the Orange-Vaal River system, using radio telemetry methods, South Africa. This Yellowfish telemetry study is being undertaken by scientific specialists from Econ@uj a consortium of ecological scientists based at the Zoology department of the University of Johannesburg, with support from the Water Resource Commission and Flycastaway, in collaboration with the Orange-Vaal River Yellowfish Conservation and Management Association and Wag-‘n-Bietjie Ekoplaas. Yellowfish (Labeobarbus spp.) are generally a cosmopolitan species which have ecological, economical and social importance. 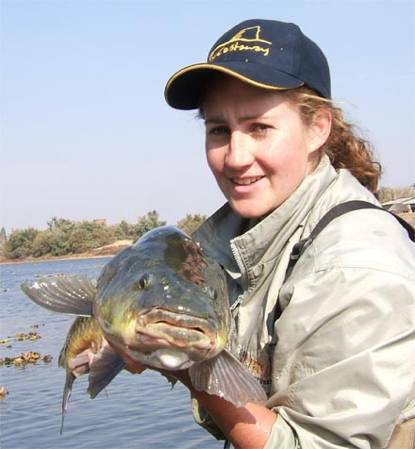 The inadequate understanding of the biological requirements of Yellowfish in the Vaal River has promoted this telemetry study, which has been designed to assist with the development of conservation protocols and management scenarios for river ecosystems. 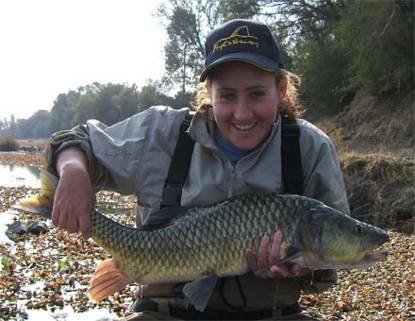 This study aims to characterise the flow, depth and substrate requirements of the Yellowfishes in the Vaal River and to further characterise the general feeding and spawning biology of these species in the field. 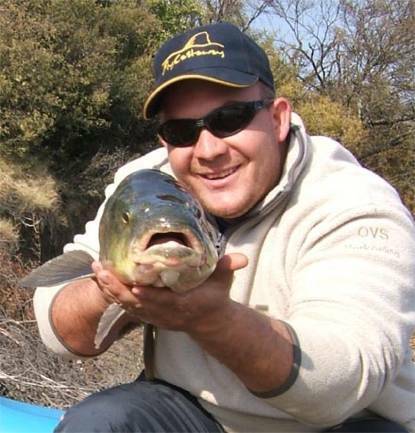 This study involves tagging of twelve Orange-Vaal Largemouth and twelve Smallmouth Yellowfish (Labeobarbus kimberleyensis and L. aeneus) individuals in the Vaal River over a period of twenty four months.